We see the return of another Aeroplan conversion bonus! Last seen this past Spring, the hotel only transfer bonus is back but this time it's a flat 35% bonus miles instead of a tiered bonus structure of up to 30%. This makes this bonus one of the better ones yet. You don't have to transfer a lot of points to get the maximum bonus and the bonus is higher than we've seen in the past. 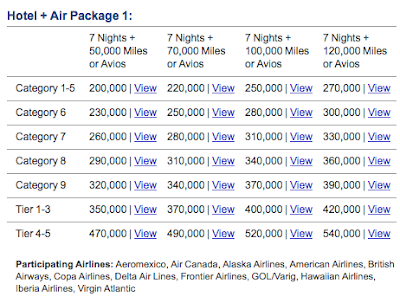 Your best bet for transfers is Starwood Preferred Guest of course since they transfer 1 to 1 to Aeroplan and if you transfer 20,000 Starpoints at one time SPG will throw in an additional 5,000 miles for 25,000 Aeroplan miles. 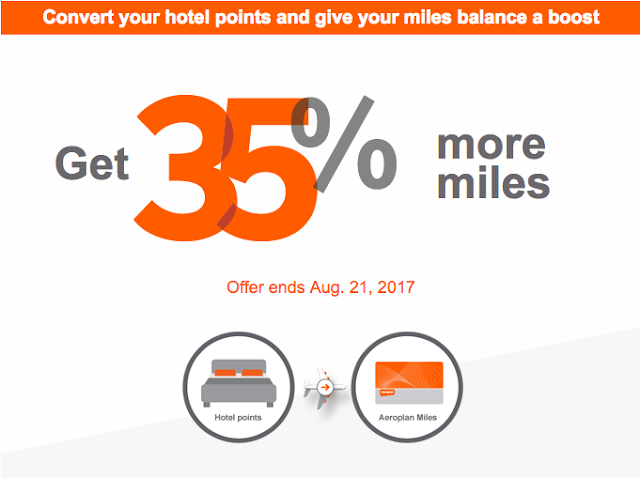 With the conversion bonus you are actually looking at getting 33,750Aeroplan Miles for the 20,000 Starpoints. 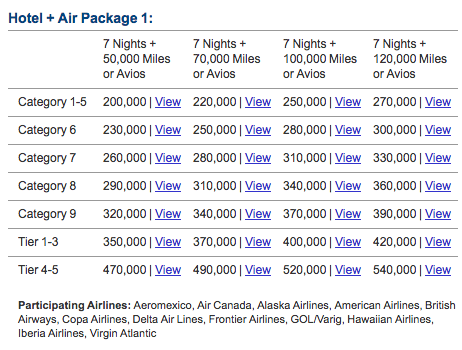 Those miles can get you two short haul tickets so you can see the potential value in transferring Starpoints to Aeroplan. BUT WAIT! 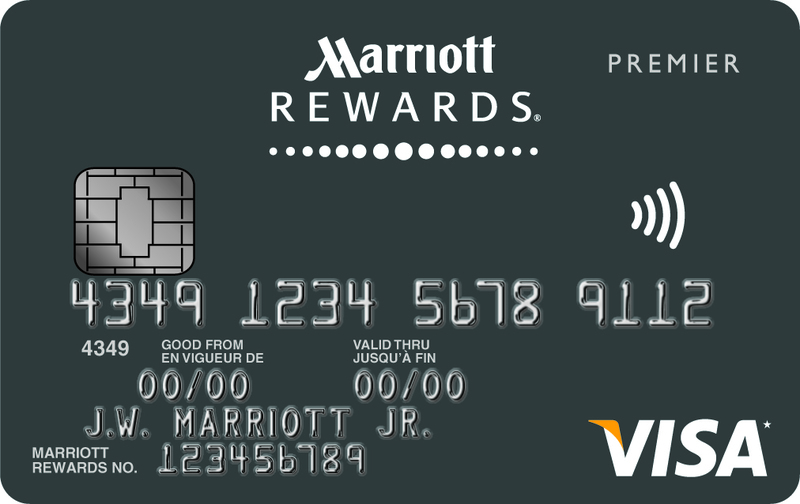 You'll want to wait to get the SPG card until tomorrow as its going to get better. So be patient and wait about 16 or so hours from the time we post this if you are planning to apply for the card. You can always look at grabbing hotel credit cards just for conversion bonuses like this but you'll want to do it soon since time is limited and the bonuses you get from these cards may not post in time for this conversion period. Just wait until tomorrow for the SPG card.